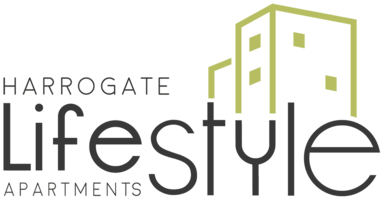 Harrogate Lifestyle Apartments Offer You More Than a Hotel. Here You Can Enjoy a Home From Home, Perfect For Long Trips & Short Stays From as Little As One Night! At Harrogate lifestyle Apartments you can enjoy having the vibrancy of Harrogate life on your doorstep whilst enjoying your home comforts. We are in the heart of the town centre, so you have the luxury of having the famous Bettys Tea Rooms, the Turkish Baths Health Spa and the 17 acres of English Heritage Valley Gardens quite literally just around the corner from us. With the Theatre and the Royal Hall so close to us, there are a huge range of events throughout the year to be entertained by. Enjoy and indulge in fine wine, champagne and fine dining at an excellent choice of restaurants all just a moments walk away from our apartments. Shop until you drop, in what is one of the most fashionable towns in the north. Enjoy a range of fantastic independent boutiques scattered around the cobbled back streets of Harrogate Montpellier Quarter or visit Hoopers up James Street along with some of the other well-known labels in fashion. With an extensive range of art galleries situated close to the apartments, art lovers will have plenty to discover. Our apartments offer you the Harrogate lifestyle, on the doorstep of your home from home.